The book was in the news because of the Hulu series. I have not seen the series. A few people on Reddit said this is their favorite book. I knew the book was about some kind of religious dystopia. I also knew that women sometimes wore "Handmaid outfits" while protesting. The last chapter made the book, but it wasn't worth the wait. This book is written in the first person like a diary, which I like for non sci-fi. Books with deep themes do well if I can experience the character's anguish in a more personal way. This character has a lot of mental stress. It is quite a miserable life. In fact, it is misery non-stop so much that it detracts from the book. The small pockets of niceness still have stress in the back of her mind. Essentially, the first 20 twenty chapters could be summarized as "this lady's life is a prison". I need something more. It goes from 1 unpleasant aspect of her life to another unpleasant aspect. Frankly, I got bored with it during my first 2 attempts and gave up after about 5 chapters. The only reason I kept trying this book again is because of some strong recommendations. The saving grace for this book is the last chapter. That chapter alone gave a full point to my final score. I will not go into any detail about the final chapter. It came at a complete surprise. It was so good I wish the whole book was the final chapter. However, it did not overcome slogging through 40 chapters before it. 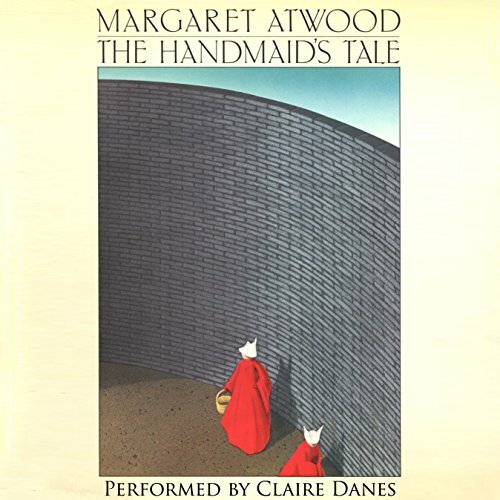 Discuss The Handmaid's Tale in the forums.